Chickens are fun. Chickens are easy to keep. Best of all chickens lay eggs and who doesn’t enjoy a breakfast with eggs laid in their own backyard. We have several different styles of chicken coops to keep your hens happily clucking. 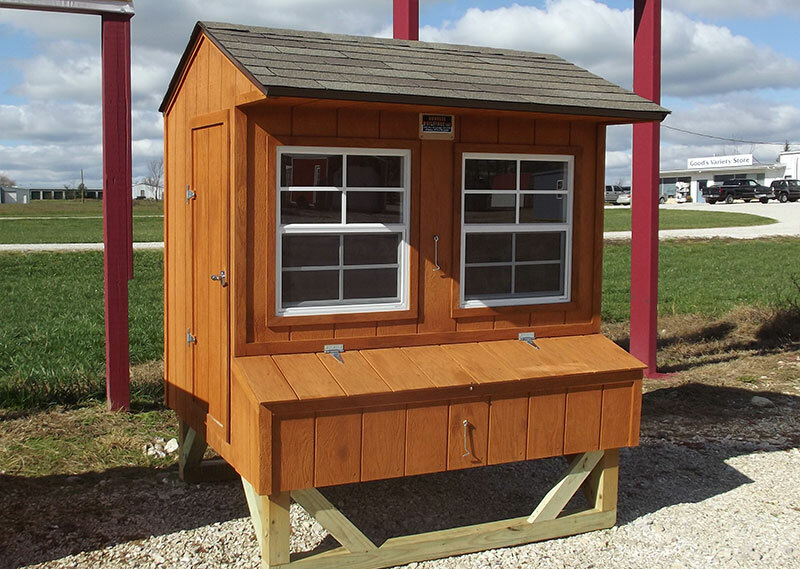 We build them using a maintenance free exterior metal or wood siding and the inside is designed for the comfort of your hens with roosts for them to perch on at night. Our handy egg boxes have access for gathering those delicious eggs without even going inside the coop. 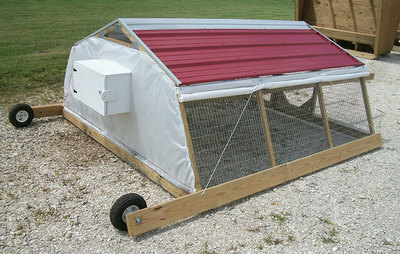 We have ramps built with traction bars for the chickens to easily climb back inside at night. Don’t forget to ask about our automatic coop doors. These doors are on a timer and open in the morning and close at night automatically. 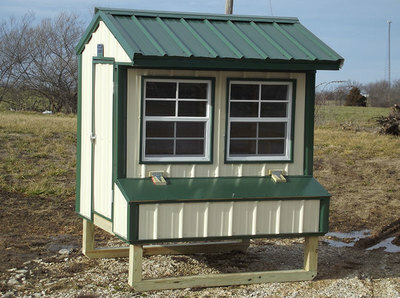 With the automatic door you can be out late or sleep in the morning in peace knowing your chickens are taken care of. We also have a coop that has wheels on it to allow you to easily move their home to a new location in your meadow or backyard. These coops work well for meat birds.